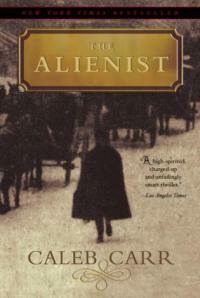 Richly written, this is a detailed historical work of fiction about a psychologist (alienist), a reporter and a secretary at the turn of the 20th century trying to put together a psychological profile of a serial killer. The methodology, amassing a profile based on the details of a person’s crimes, was regarded as highly suspect at the time — revolutionary in the field of criminology. The story begins when a young male prostitute, from one of Manhattan’s infamous brothels, is discovered dead and mutilated. Investigators soon realize they are dealing with a person who has killed before, and will kill again, unless they can get into his mind and stop him. The clues lead readers from tenements in deplorable condition to opulent mansions, from corrupt cops to gangsters, from opera houses to gin mills. An in-depth look at New York City during the time period referred to as the Gilded Age, as well as a peek at the birth of criminal profiling. Sounds like a good read! Will definitely remember this one! It’s pretty darn good. I took a peek at your blog and noticed you have or had a zombie book coming out this fall. Congratulations! Let us know when you have a release date. That’s very exciting.